The American College of Physicians (ACP) recently identified cognitive behavioral therapy for insomnia (CBT-I) as the first-line treatment for insomnia. Although CBT-I improves sleep outcomes and reduces the risks associated with reliance on hypnotics, patients are rarely referred to this treatment, especially in primary care where most insomnia treatment is provided. We reviewed the evidence about barriers to CBT-I referrals and efforts to increase the use of CBT-I services. PubMed, PsycINFO, and Embase were searched on January 11, 2018; additional titles were added based on a review of bibliographies and expert opinion and 51 articles were included in the results of this narrative review. Implementation research testing specific interventions to increase routine and sustained use of CBT-I was lacking. Most research focused on pre-implementation work that revealed the complexity of delivering CBT-I in routine healthcare settings due to three distinct categories of barriers. First, system barriers result in limited access to CBT-I and behavioral sleep medicine (BSM) providers. Second, primary care providers are not adequately screening for sleep issues and referring appropriately due to a lack of knowledge, treatment beliefs, and a lack of motivation to assess and treat insomnia. Finally, patient barriers, including a lack of knowledge, treatment beliefs, and limited access, prevent patients from engaging in CBT-I. These findings are organized using a conceptual model to represent the many challenges inherent in providing guideline-concordant insomnia care. We conclude with an agenda for future implementation research to systematically address these challenges. The online version of this article ( https://doi.org/10.1007/s11606-018-4390-1) contains supplementary material, which is available to authorized users. Research-implementation pipeline 7 – 9 . Two previous reviews have focused on barriers for implementation of CBT-I.6,10 Cheung et al.10 reviewed the role of patient perceptions of insomnia treatment, but did not discuss provider- and system-level variables. Araujo et al.6 reviewed patient and provider barriers to CBT-I uptake, but limited their review to qualitative studies. This review extends the depth and breadth of this previous work by including pre-implementation and implementation work at system, provider, and patient levels. We develop a conceptual model representing multi-level barriers to implementing CBT-I, concluding with a discussion of promising future directions for implementation work. We collaborated with a biomedical librarian to conduct a search in PubMed, PsycINFO, and Embase for articles pertaining to CBT-I implementation and barriers to use experienced by physicians and patients. Searches began with the year of comprehensive indexing in each database, 1946, 1806, and 1947, respectively, to January 11, 2018. The search included all publication types (full search strategy is presented in the online appendix in the ESM). Inclusion criteria included studies written in English which focused on implementation and dissemination of CBT-I and patient and provider knowledge/beliefs about CBT-I. Additional articles were included based on review of the bibliographies of selected articles (3) and expert opinion (16). Investigators reviewed titles and abstracts of the 2625 articles and selected those that met the inclusion criteria listed above. A total of 2545 articles were deemed out of scope (see online appendix in the ESM for reasons). The remaining 80 articles were reviewed for relevance to CBT-I implementation, with 51 cited in the qualitative synthesis below. Research on CBT-I implementation is extremely limited and most studies are confined to pre-implementation work within primary care settings. The most robust evidence was for three distinct barriers to CBT-I utilization: (1) system barriers resulting in limited access to CBT-I referral resources, (2) clinician barriers resulting in underutilization of CBT-I services, and (3) patient barriers resulting in under-engagement with CBT-I. Research has identified three key clinician barriers leading to underutilization of CBT-I services: lack of knowledge, treatment beliefs, and lack of motivation. In marked contrast to ACP guidelines, the most commonly used treatments remain hypnotic medications and sleep hygiene, a psycho-education approach with insufficient evidence as a stand-alone treatment for chronic insomnia (e.g., avoid stimulants near bedtime, keep bedroom dark and quiet).4,6,21,22 In an online survey with international general health practitioners, the most commonly used sleep treatments were sleep hygiene (88%), pharmacotherapy (63%), and relaxation therapy (44%), and 80% of providers incorrectly believed that sleep hygiene was an efficacious monotherapy.23 A survey study with physicians at university medical centers in the USA demonstrated that less than 10% of patients with a likely diagnosis of insomnia are referred to CBT-I.24 In a survey with VA primary care providers who worked in medical centers with access to CBT-I, only 29% reported utilizing CBT-I to treat insomnia.25 In contrast, over 70% of these providers depended on medications and sleep hygiene. 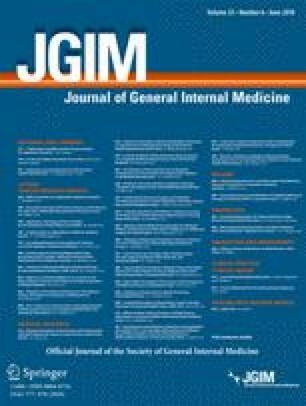 Finally, qualitative interviews with US internal medicine physicians at a university medical center suggested that clinicians may be more likely to prescribe medications to ensure that “the really important business of the clinic visit” takes place, rather than taking time to discuss nonpharmacological options.46 Insomnia is seen as less urgent than other medical symptoms, perhaps due to underestimating the adverse health consequences of poor sleep.6 It is likely that the lack of motivation to properly assess insomnia is related to other barriers discussed above, including limited time, a lack of knowledge about insomnia and nonpharmacological treatments, and insufficient access or knowledge about referral resources. Increasing delivery of CBT-I to patients in real-world settings requires a thoughtful and systematic program of research to develop and test implementation interventions at multiple levels. We present a conceptual model in Figure 2 as a framework for this research, drawing from previous work, including Cabana et al.’s conceptual model of barriers to physician adherence to practice guidelines and Anthierens et al.’s multi-level model of barriers to nonpharmacological treatment of stress, anxiety, and insomnia.30,59 Our model highlights promising intervention targets for future implementation work, which are discussed in more detail below. Intervention targets to increase guideline-concordant management of insomnia in primary care. Some early work has been done in this area. For example, 137 general practitioners in Australia were randomized to receive a 15-min educational intervention in which a doctor or pharmacist visited during office hours to provide education and patient materials pertaining to nonpharmacological treatment of insomnia.61 This significantly reduced the percentage of benzodiazepine prescriptions for newly diagnosed insomnia over the 7-month follow up (85 to 48%).62 Similarly, a promising pilot program within the VA delivers sleep medicine education to rural primary care providers using video-teleconferencing technology.63 This program involves 10 stand-alone 1-h sessions delivered by specialists in sleep, psychology, and pharmacy, and 80% of participants reported increased comfort with the use of nonpharmacological management for insomnia, although they also identified scheduling conflicts and a lack of protected time as substantial participation barriers. We are currently developing a social marketing campaign to increase knowledge and positive beliefs/attitudes about CBT-I. This approach goes beyond providing educational materials by focusing on strategic marketing of messages to a target audience.64 We anticipate that informational materials for primary care providers will include best practice guidelines, referral information for CBT-I, and recommended talking points for describing CBT-I to patients, presented at monthly clinic meetings. We are also considering CBT-I “champions” within primary care to answer questions about CBT-I and provide feedback about patients who benefit from CBT-I. Research has demonstrated a vast gap between supply of CBT-I providers and demand for CBT-I providers; lessons learned during national efforts by the VA to train CBT-I providers can be applied to other healthcare settings. For example, participant feedback during this training was used to extend the training workshop (3 vs. 1.5 days) and increase the focus on implementing CBT-I for patients with medical and mental health comorbidities, as well as the development of virtual office hours to provide continued consultation and support for newly trained CBT-I providers.20 Program materials, including competency rating scales and patient materials developed during this initiative, can be used and adapted in future dissemination programs. Stepped-care models, where different levels of care can be delivered in different settings (e.g., mild to moderate insomnia in primary care, severe comorbid insomnia in specialty mental health) will help those with insomnia get the appropriate level of care by the appropriate provider.67 In order to implement stepped-care models, the VA and other healthcare systems also need to increase access not only to CBT-I providers, but to professionals with expertise in behavioral sleep medicine (BSM) more broadly. These professionals, often psychologists with further specialized training, are a valuable resource for both CBT-I providers and primary care clinicians to help manage patients with more complex comorbidities for whom CBT-I may be contraindicated and for whom other evidence-based approaches are needed (e.g., circadian rhythm disorder, shift work disorder, seizure disorder, traumatic brain injury, bipolar disorder, poorly-managed sleep apnea). Increased access to CBT-I can also enhance clinician motivation to assess, diagnose, and refer for treatment of insomnia. Simple insomnia screening tools are available, although they are not yet widely integrated into routine clinical care.7 The Insomnia Severity Index, a 7-item patient reported outcome measure, could identify potentially appropriate candidates for CBT-I in primary care, using cut scores of 11 or higher.11,68,69 If brief insomnia screens are not feasible in busy primary care settings, clinicians can defer to trained CBT-I providers to assess patients with an insomnia or sleep complaint and help make decisions about treatment. Work is ongoing to develop and test alternative delivery formats for CBT-I to increase access and minimize patient burden and use of healthcare resources. For example, self-management (i.e., self-help) approaches utilizing books, web-based programs, and mobile applications allow patients to stay at home, eliminating both transportation and time barriers.45,70 These approaches also partially address the problem of too few trained CBT-I providers, although qualitative interviews with patients suggest that they prefer to have some form of contact with a CBT-I provider.70 Developing alternative delivery formats for CBT-I may also enhance adherence and improve outcomes, increasing the use of CBT-I by patients and providers. Meta-analyses have found that self-management CBT-I approaches to treating insomnia are efficacious compared to inactive control,71,72 but few studies have compared these approaches to standard CBT-I. Telephone-delivered CBT-I is a promising approach that minimizes practical barriers (e.g., travel) while providing the desired contact with a trained CBT-I provider; a recent randomized clinical trial demonstrated significant improvement in sleep following a brief, telephone-based CBT-I relative to an education control.73 Within the VA, video telehealth is already used to provide CBT-I to veterans in rural areas, and work is ongoing to develop mobile applications that can be used independently and in conjunction with in-person CBT-I, as well as self-management approaches for insomnia treatment with telephone-based provider support.74–76 These treatments are still in the pilot phase and comparative effectiveness relative to standard CBT-I is unknown. Primary care providers are ideally positioned to make referrals to CBT-I as the first-line treatment for insomnia. Crucial next steps will include developing and testing implementation interventions, including targeted materials marketing CBT-I to patients and providers. Additional efforts are needed in community healthcare settings to adapt and implement existing training models, like those used in the VA, to increase access to CBT-I providers. Although standard CBT-I is a highly effective treatment, the capacity to delivery it cannot begin to meet demand. Comparative effectiveness research testing alternative delivery formats for CBT-I is a necessary part of implementation and will also help establish stepped-care models. Efforts to establish the sustained and routine use of CBT-I will benefit clinicians and patients through the delivery of safe and effective insomnia care for the vast numbers of patients struggling with insomnia. We would like to thank Jonathan Koffel, MSI, for his assistance constructing the search strategy. This material was the result of work supported with resources and the use of facilities at the Minneapolis VA Health Care System, Minneapolis, MN, VA, Pittsburgh Healthcare System, Pittsburgh, PA, and Durham VA Medical Center, Durham, NC. The views expressed in this article are those of the authors and do not reflect the official policy or position of the US Department of Veterans Affairs or the US Government. Drs. Koffel, Ulmer, and Bramoweth were supported by the Department of Veterans Affairs Health Services Research and Development Service Career Development Awards (CDA 15-063, 09-218, and 13-260, respectively) while working on this manuscript. Mittman BS. Introduction to implementation science in VA. Enhancing Implementation Science in VA 2012, Introductory Program 2012; https://www.hsrd.research.va.gov/for_researchers/cyber_seminars/archives/eis-050312.pdf. Accessed 1 Feb 2018.